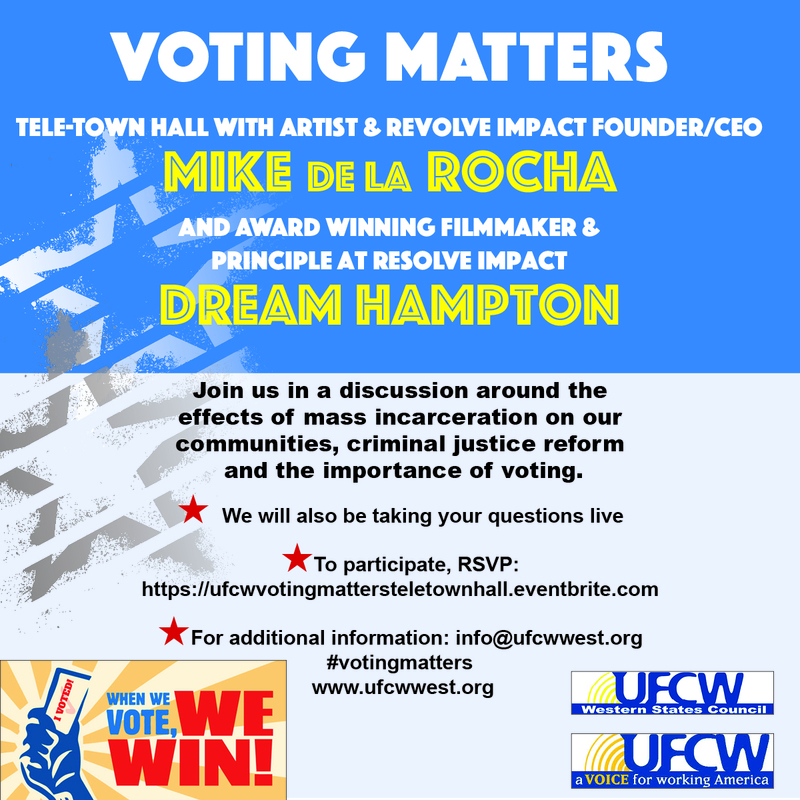 UFCW Western States Council will be hosting a live Telephone Town Hall on Thursday, October 27th at 3 PM where we’ll be talking with Artist & Revolve Impact Founder/CEO Mike de la Rocha and Award Winning Filmmaker Dream Hampton. We will be discussing the effects of mass incarceration on our communities, criminal justice reform and the importance of voting. We will also be taking your questions live. To join us stay on the line when we call you or RSVP on Eventbrite.